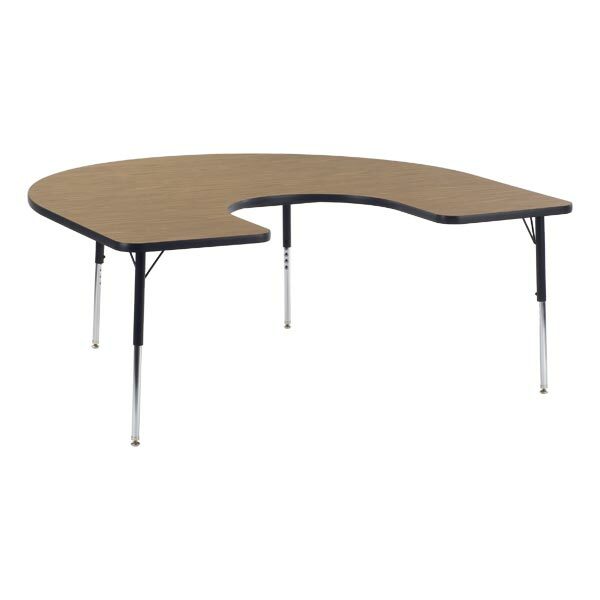 Model 48HORSE60 is a horseshoe shaped activity table and is part of the 4000 series adjustable classroom tables by Virco. These height adjustable activity tables are ergonomically designed to suit classrooms, work rooms and training rooms alike. They are versatile enough to be also used as computer tables and feature high-pressure laminate finish tabletops. Standard height legs adjust from 22”-30”H. Models are also available with preschool height adjustable legs (LO) from 17” - 25”H.